What a delight this series has been under writer Mark Waid and artist Chris Samnee. 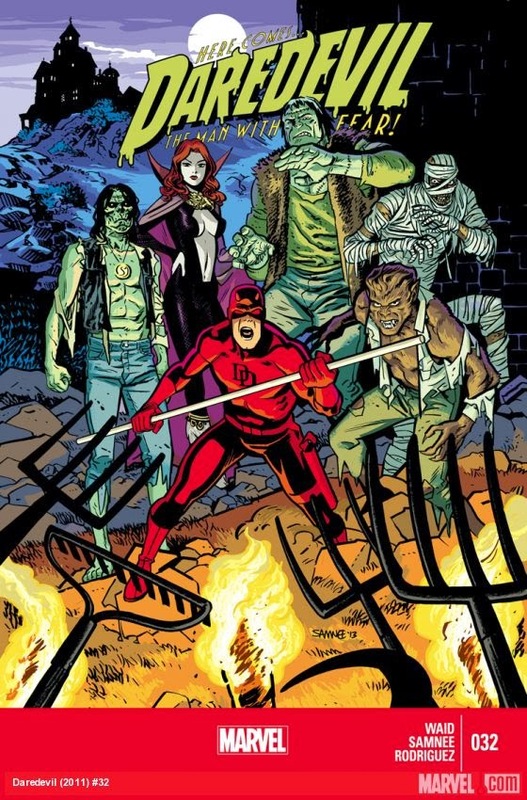 They turn in yet another great issue of Daredevil here, loaded with lots of surprises, unexpected guest stars and a story perfect for Halloween, as it includes the mostly-forgotten Legion of Monsters, who have taken up residence in a surprising part of the country. The action throws DD into the middle of a lynch mob in a rural setting. As you'd expect, he throws his lot in with the underdogs, though he doesn't exactly realize the nature of the problem. 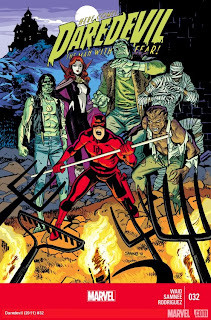 Throw in lots of clever bits of business, an unexpected final twist, and a guest appearance by some of Marvel's mightiest monsters, and it's yet another in a long line of terrific issues in this series. Sad to note that - reportedly - the creative team is leaving after issue 36, so best to latch on to one of Marvel's best while it lasts!